More Medical Astrology With Eileen Nauman! Thanks, everyone, for listening last night! If you missed it, my guest was medical astrologer Eileen Nauman. The archived version is available HERE if you missed it... and is also on iTunes as a podcast! Since last night was pretty educational for a lot of us... and there's no better way to learn than to play along at home, here are the charts in question. Click on them... they get bigger. Mary has specific questions about chronic pain issues. Jana asks: "Could the NORTH NODE in Libra have an influence on what my life is supposed to be about? I have ALWAYS wanted to be a psychologist, but it didn't happen, and usually end up in an accounting job or health care, but ...I love writing, but (blogs, books, cookbooks, children's books), I feel like a failure, not knowing why I cant get into a career and make money, but I do like to cook a lot and want to start a blog." ...and did you write me for your freebie yet...? -Former Vanity Fair columnist and astrological legend Michael Lutin shares his wisdom! -Amy Herring, author of "Astrology Of The Moon" explains the effects of that other big light in the sky! -Soulgarden.tv maestro Christopher Witecki and I lay down some phat astrological beats! Law & Order: Saturn Victims Unit! In Astrology, Saturn Transits are considered especially heinous. On Blogtalkradio.com, the dedicated astrologers who investigate these vicious aspects are members of an elite squad known as the Saturn Victims Unit. These are their stories. Time to look at what astrology has in store for you in the near future! Join me tonight for "Conquer The Universe With Astrology: The Radio Show" with my guest Eileen Nauman, author, astrologer, and great human being. And we'll be answering your questions online! Oh, and have you written for your freebies yet...? Over the years as an astrologer, I've seen a lot of bad relationships. And I look at relationships a lot in my role as the blogger for Astrologydating.com. I've also seen a fair number of good ones of course, but let's be honest -- it's the bad ones you often learn the most from. Now although I can't say I've gotten the keys to the "perfect" (ha!) relationship here in my back pocket, but I've certainly observed where a lot of the problems come from. When The Stars Are Right But Your Heart (Or Head) Isn’t… Or Is That The Other Way Around? ...along with new material you haven't seen anywhere else. And unlike your last bad relationship... this won't cost you a thing. No, really. It's free. Free. All you have to do is write me and ask for it just like my last freebie (which if you ask for it now... you'll get that TOO). 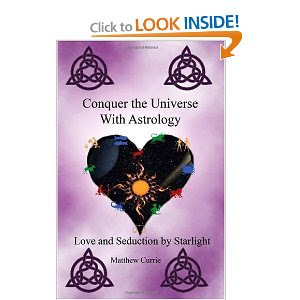 Whether you're a total beginner at Astrology, or have gotten a little deeper into the dynamics of astrology and relationships... or are just looking for the occasional pained chuckle at how this things can go off the rails... "The Astrology Of Bad Love" has something for you. Your Astrologer Is Ready, San Francisco! 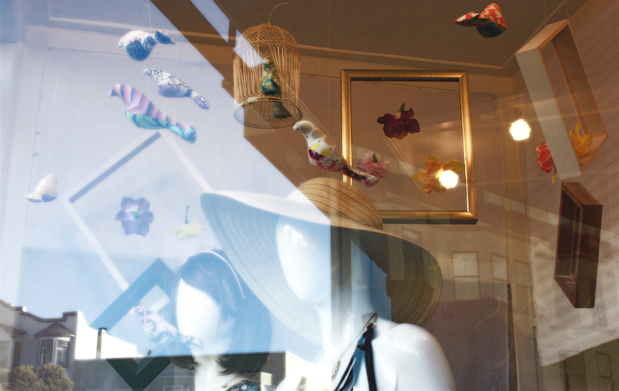 I'll be appearing live and in person Saturday at Tedda Hughes Gallery Boutique, 1623 Polk Street, San Francisco from 7 to 10 PM. Need guidance for your future? Saturn transit getting you down? Trying to figure out your finances or your love life? Curious to see if I'll e-mail you a freebie just for asking? Come on down and find out! Readings and opinions by donation, and like I said... freebie by e-mail. That, plus the usual amazing selection of items in Tedda's gallery. How can you lose? 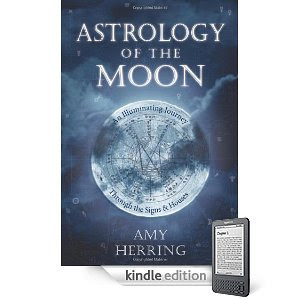 The Astrology Of The Moon, Amy Herring, Free Stuff, And Fun! Join me tonight on "Conquer The Universe With Astrology: The Radio Show" and my guest Amy Herring, author of "Astrology of the Moon: An Illuminating Journey Through the Signs and Houses". If you write me, you get a freebie! Also: Astrology In The News, The Last Degree, and an announcement about all your questions. Drop by and say hi! Conquer The Universe With Astrology: Amy Herring Edition! Tomorrow night at show time (10 PM Eastern, 7 PM Pacific), the Moon will be loud and strong and relatively unaspected in Aries, and it's the day before the Full Moon. 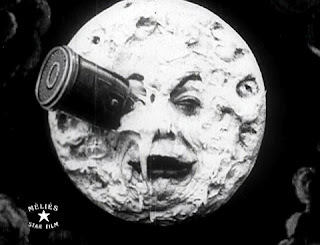 So there's no better time, I figure, than to go loony with it! to set up a reminder for the show. As always, we'll have Astrology In The News, The Last degree, and yes... questions will be answered. That, plus Astrology In The News, The Last Degree, a freebie for everyone who writes me, and your first look at my new e-book... "Duck And Cover: The Astrology Of 2011"! Anyway, the show's going to be great. You can click now to set a reminder. The show will be available as an archive/podcast shortly after showtime. See you all there! Today is the New Moon in Libra... traditionally a time to sit back and think about your relationships and partnerships, and sometimes it's a good time to try something new. That's why it's a particular thrill for me to welcome tonight's guest on "Conquer The Universe With Astrology"... Christopher Witecki of Soulgarden.tv! If you haven't seen the place, drop by.... it's definitely not your grandma's astrology! ...we have the chat room, Astrology In The News, The Last Degree, and I'm still dying to send you your obligation-free (and kinda cool) freebie when you write me! Come And Get Some Astrology, San Francisco! I'll be appearing live and in person tonight at Tedda Hughes Gallery Boutique, 1623 Polk Street, San Francisco tonight from 7 to 10 PM. Need guidance for your future? Feeling the weight of that Sun-Saturn conjunction? Wondering what Venus and Mars in Scorpio is going to be doing for you? Curious to see if I'll e-mail you a freebie just for asking? Come on down tonight and find out!